Hi again! Let's try to find these guys new homes! and work on my poketat! *Once your item leaves my hands to ship, it is no longer my responsibility. *Items come from cat and dog friendly home. And I still have lots of Gen 1 base/fossil/jungle cards in my normal sales (here) and some manga and flats (here). Today I bring a collection update full or monkeys, with a dash of dragons and a pinch of pokedolls/canvas! Hi everyone, my name is Claire but you can call me Sparky or anything derived from my username or real name. In fact, I'll probably respond to just about anything. I'm 19 and I have loved Pokemon since the good old days of Red and Blue. During the 4th generation of games I played competitively, and I occasionally play the card game although I honestly prefer just collecting the cards. UPDATE: I am battling a serious ear infection, so please bear with me. I am trying hard to keep up with comments and inquiries best I can! Under the cut you will find new CHARMS and other cool items from Japan, including a bunch of random stuff I recently found in Nakano- vintage Pokemon goods!! *NO trades, No holds. Paypal only. Shipping will be from Japan, and any orders completed after Friday evening will be shipped NEXT Thursday, as I start work on Monday. If you are definitely buying, SAY SO, because often there are other buyers interested in the same items. If you just ask for a shipping quote, I will assume you have not yet committed to the sale, and your item will be open to another buyer. Please respond within 24 hours if you are making a purchase, as anything longer than that would be considered a hold, which I don't do. Shipping on small items will most likely be $2.50-$3.50. I have very few small boxes, so people who are buying a lot will get priority!! Most items will have to be shipped in bubble wrap, in an envelope. Sorry for the inconvenience. Hello! Looking for a few things!! I request they all be MWT for the lugia. And mint for the charms. :)) Thank you!! Hey everyone! 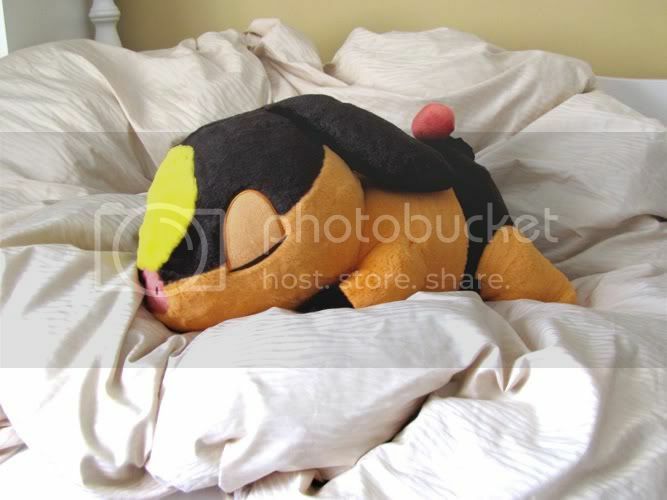 Today I have a few questions regarding what some plush go for. And finally a little plug for my custom keychain commissions! All ten slots are still open. Click here if you're interested! I am sure that most of you have either talked to me or seen me around. I have been here for over two months now and decided it was time to formally introduce myself to you all. My name is Ian and I am sixteen years old. I had seen posts from the communtiy before I decided to join, mostly about Zukan sales. The main reason I have joined the community is to get Zukan figures of my various team members. Thanks to many of you already I have gotten my list from over 50 down to around 20. I have 65 Pokemon in total across my 8 teams including 11 Pokemon from Black and White. So far from my White team I have bought an Emboar line, Serperior line and Zoroark line (both versions). I also have a Seismitoad, Galvantula, Braviary, Krookodile and Zebstrika on my White version. Someone arrived today! And he's ever so tired. Hey guys. :3 I hope that everyone had a good Holiday and good New Years. I'm just here with a little wants post. I have a collection update to do but, I want to do that when I have more time in between classes. Just a reminder that my good condition w/ hang tag TOMY Lucario plush is still up for offer until tomorrow (Wednesday) at 6 PM CST. If you're interested, please check it out! I intend to ship all outgoing packages on Friday (weather permitting)! Still willing to do card trades mentioned in that post, but this will be the last weekend that I can mail cards immediately. Last chance for half of a Zekrom Strength Deck. I was originally asking for $21 shipped for 30 cards including Zekrom, but if we go with a slower shipping option for the deck, I can do $16.50 shipped within US and $17.50 shipped international. Zekrom has been sold for $10+shipping before....so this is a deal. If interested, I would need payment ASAP (by tomorrow) since my payment for the order is due on the 12th. Sales in that post are still going on, btw. Image from google image search. I just need one. I'm hoping to trade for it. I can trade a couple un/common TCG cards, Topps cards, or I have Leafeon/Glaceon card sleeves I could trade. According to ebay, the charms should arrive at my house around Jan. 20th. 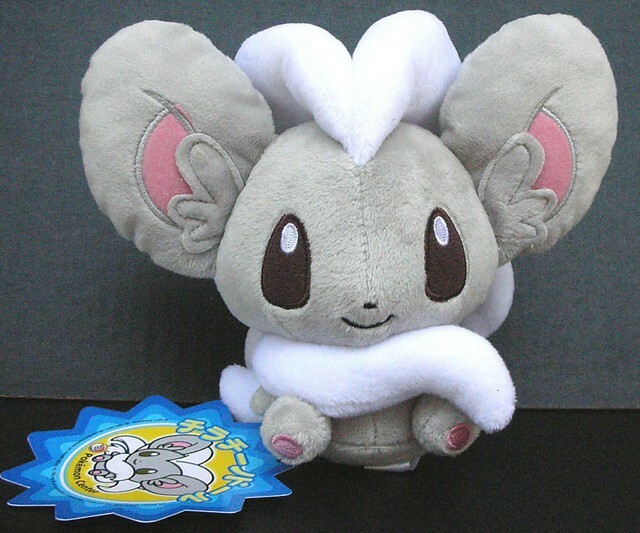 Main reason for posting: I am hosting a Eeveelution charm GB. I will be ordering ONE set and all charms need to be claimed and paid for before I purchase. Jolteon - kitsunewho - PAID! Vaporeon - umbreongirl - PAID! Glaceon - roxiired - PAID! Leafeon - chibi_flare - PAID! Collection Update and Contest Entry! Check out my awesome collection under the cut! I made a really late contest entry! It is under the cut! Applause Caterpie and Bell plushie request! 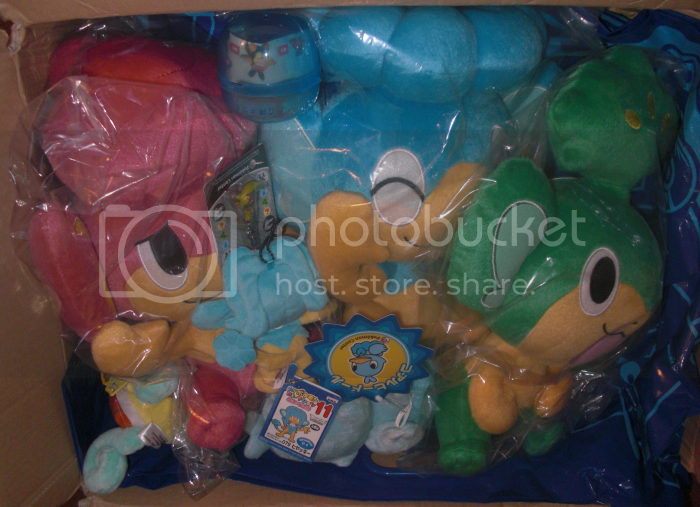 I'm really wanting an APPLAUSE CATERPIE and BELL CATERPIE plush! 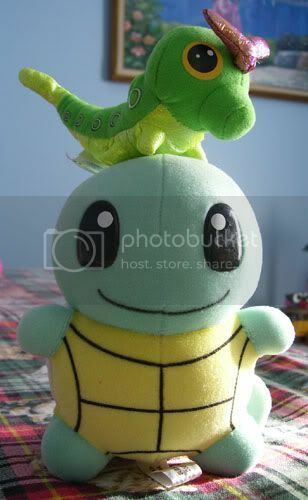 I have a taffeta,friends,and burger king CATERPIE plush...and I need applause and bell to complete it! Can you help me out here! I'm willing to pay $60.00 for a bell or applause CATERPIE! Anyone can help me?! Anybody want some water wigglers? 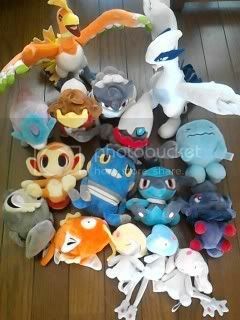 Hey, pkmncollectors. I just thought I'd post my contest entry. ^^ All the wintry holiday stuff is getting put away, so I had to hurry and take some pictures. Thanks for viewing!! And I hope everyone has a good contest! We WON the auction! But there's been a change I did the bidding and will be doing the shipping too. As I hadn't contemplate that I'll had to do that, I used money that I need to pay other things with. I'll ask you that please as soon as the first payment post is made, you send the money as I need it asap. Hey guys! Today is my 3 year collectiversary! It feels like both a long time and a very short time! I know something, though- I've had a lot of fun! I've changed my primary collection only once, though. I used to be a Dialga collector until I realised I was fighting a losing battle with him being in so many movies! Instead, I shifted focus and became a Zapdos collector. And I know Zapdos is also a movie Pokémon, but there's a lot less movie-merch to hunt down of the Thunderbird! So, in a small celebration of my collectiversary, I come to you guys with a few questions in lieu of having any good new pictures. Re-intro, new Rai's, Customs, Auctions and sales! Hey everyone, I have returned from my super long hiatus. :O My name is Lunarchik13 (that's totally my name irl..... not really it's Allie.... but you can call me whichever). I am a crazy Raichu collector. :D My collection isn't as extravagant as Gin's, but it's getting there. I won't post my entire collection, but if you're interested in seeing my collection you can visit my currently not yet updated website HERE. Now.... seeing as how I have a wedding coming up and need some monies to help pay for it, I've decided to do some MAJOR collection weeding, and am putting the more rare items up for auction. And LAST but not LEAST.... SALES!! Since I am doing some MAJOR collection weeding, I have updated my sales post. 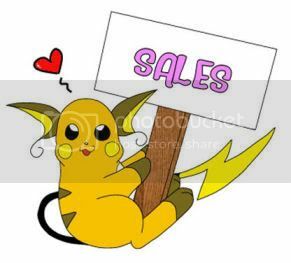 :D Click the banner to go to my sales. I've added 8 snap-together model kits I just got in a lot, as well as some lowered prices for other stuff (I really just want to get rid of it ^_^;). Thanks for stopping by! I was wondering how much this cup set sells for (the one with Arceus and Heatran cups)? I couldn't find good pic of the whole set, so I took this from Toys n' Joys. I would be selling three cups and the original package. The cup with Giratina/Dialga/Palkia would not be for sale. Just want to know what is the value of these cups. ^^ Me and my gf bought them from a con few years ago. They are made of plastic and we were kind of dissapointed because we thought the were made of glass. Cups have been displayed only. Also we need price check tag, orz. Also, #1 Eeveelution GB has arrived, everyone who parcipated, I left you a comment on the shipping costs! Thanks to you too! I would need someone from US, since the seller ships in US only. I would claim the Jolteon Pokedoll. 2011-02-14 22:25:00 - This was the LAST time I had posted to the community! I decided to stop procrastinating and FINALLY make an intro post!